A warm welcome to all astronomy lovers. My name is Janusz Wiland. I live both in Warsaw and Piotrków Trybunalski in Poland. I got interested in astronomy in 1968 and it has been my passion ever since. Through all of these years I managed to assemble and build from scratch numerous reflecting telescopes and write several astronomical programmes. Recently, I have also taken up astrophotography. Presently I serve as vice-president of Polish Society of Amateur Astronomers, as well as president of Warsaw Department of PSAA. For the purpose of popularising astronomy I release my works free of charge in order for those, who cannot afford purchasing expensive astronomical equipment, to have the possibility of pursuing their passion without causing substantial harm to personal budget. One day I wrote a tiny publication on the topic of DIY construction of reflecting telescopes which turned out to be essential back in times, when purchasing a telescope was far beyond reach of many young astronomy lovers. In order to possess a telescope one was forced to built it by himself. Recently everything has changed and constructing precise equipment by oneself is not only far more expensive than purchasing it in a specialised shop but also requires long hours of professional and scrupulous work. 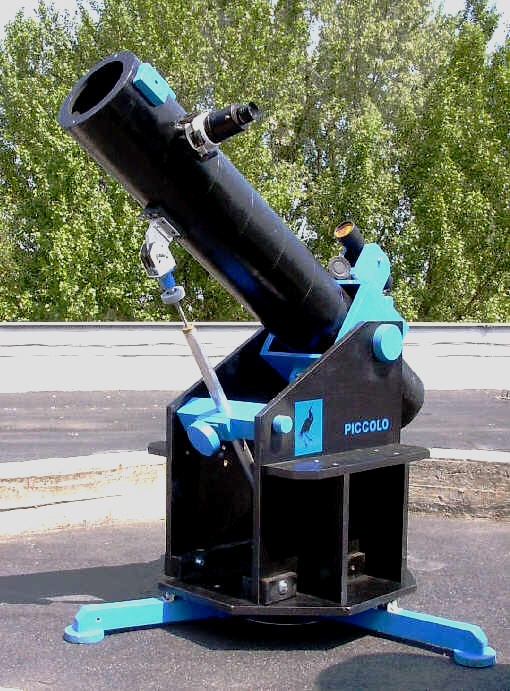 To give an example I would like to present two telescopes constructed by myself: PICCOLO TN 115/1150 and TRIPLET TN 200/1436. 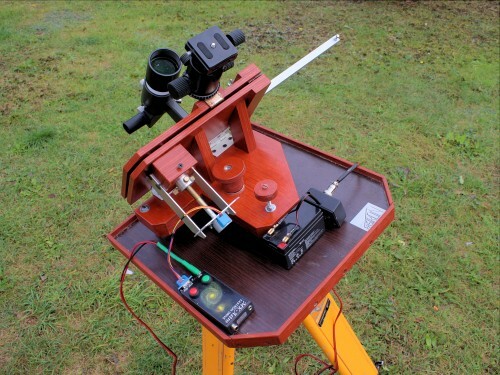 Both pieces of equipment give excellent images of stars and their altazimuth mount was designed in a manner that allows comfortable observation. I applied micro steps in the vertical axis, which entirely eliminate vibrations of the telescope. 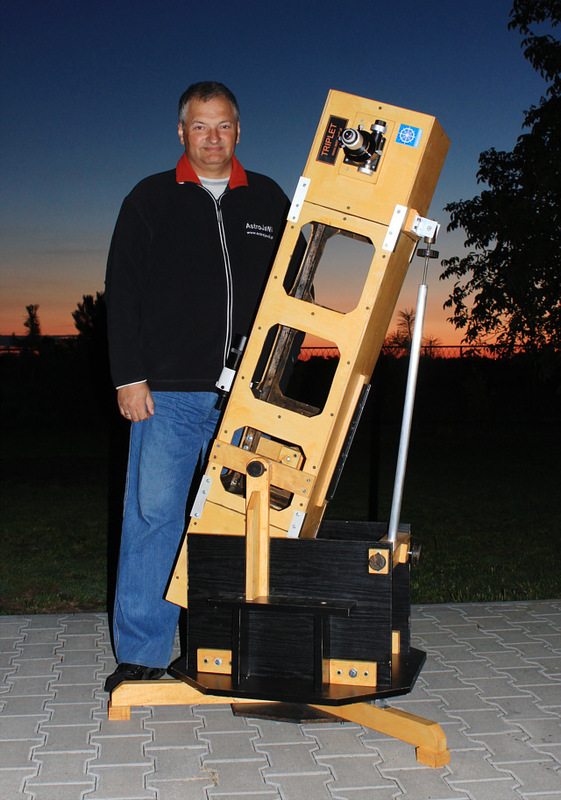 I decided to hand both telescopes over to Tomek Zaraś, who is devoted to intensive popularisation of astronomy in the Dark Sky Reserve in Izdebno near Poznań. In recent years I got eagerly engaged in programming and since 2002 have been intensively developing the AstroJaWil program, which was a true ‚multitool’ of mine. The main purpose of its creation was designing software that would encompass all functions necessary to conduct astronomical observations and predict the visibility of various objects in the night sky. In 2012 I decided to write a better program, which I later named ‚Night Observer’. This program is equipped in almost every needed catalogue of different objects, which can be observed above our heads. Here comes a frequently asked question why I would waste so much time on all of this while there already are different free programs available, additionally having a great deal better graphical solutions. Unfortunately, these programs do not provide as many useful functions needed to prepare oneself for observation or establish daily and annual visibilities as I would like them to. In my aforementioned home-developed programs anybody, regardless their place of living, can input their coordinates and create approximated shapes of all surrounding obstacles which limit the area of observable sky (such as trees or buildings). 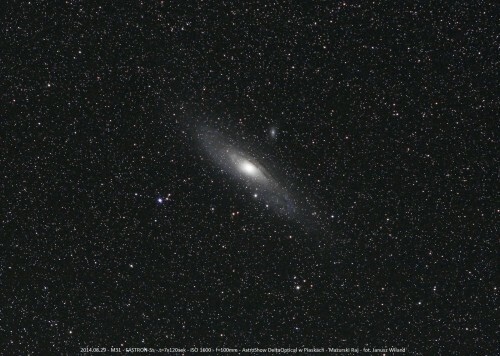 Thus, all beginner sky lovers can quickly recognise which objects are visible at given moment and those who conduct regular observations are able to check whether phenomena of their interest can be seen at their observation spot. Another function of special significance is the English version of Night Observer which can be easily switched on with F4 button. Also, being aware of substantial differences in nomenclature between languages, I decided to add the possibility of displaying names of constellations and Solar System bodies in languages different than English and Polish which, for example, enables printing sky maps in one’s mother tongue. I share the Night Observer entirely free of charge. The only thing I ask for is registration which is source of important information for me, telling whether there exists any interest in this program and which country the users come from. I have already posted several instruction videos on YouTube, unfortunately only in Polish so far. I shall translate all of these instructions into English soon, but at present one can at least watch screenshots so as to have a glimpse at general possibilities of the program. Having downloaded no.zip, unpack it into a new folder. When you find a file named no.exe, click on it with right mouse button and choose ‘Create Shortcut’. Move the shortcut to the desktop. I have been practising astrophotography for many years. I was not the only one experiencing problem with purchasing a proper tripod with satisfactory star guiding. This price barrier prevented many of us from taking beautiful shots of the sky with point stars, because Earth is relentlessly spinning around its own axis and longer times of image sensor exposure in a still camera results in star images being arcs and lines. Whenever an item was out of financial reach I tried to construct a substitute on my own and this time was no different. When between 1996 and 1997 our Solar System had the privilege of hosting the Hale-Bopp comet, I designed and built a wooden parallactic platform, which I later called FASTRON. It has been almost 20 years since that moment and when I thought that my HEQ5 mount was all I needed, an unpleasant surprise came, because I was not able to take it with me on a plane trip to visit my family and their wonderful sky. And this time again I was forced to design a new piece of equipment – light, fold-up and compact parallactic platform, so as for it to fit in cabin luggage easily and take little space. That is how subsequent models from the FASTRON family were born, which were wooden parallactic mounts equipped with guiding. In versions from FASTRON-2 to FASTRON-4 the guiding was hand-driven with a clock hand or a knob. Thanks to the great help of my friend Michał Klimaszewski, who designed and constructed operation of a step engine, which drove FASTRON, in a professional manner this humble creation became a refined device suitable for astrophotography – statement a proof of which can be found in the pictures below. The drive is called MK-Astro FASTRON-DRIVE. FASTRON-5s is the latest model in the series so far, which performs several minute expositions with the use of lenses up to 300 mm, resulting in point stars. Being given such results one can already take reasonable shots of the night sky. In case of this device construction costs are incomparably lower than purchasing complete platforms or mounts. Financial profit is accompanied by great satisfaction coming from the fact that FASTRON is the work of one’s own hands. 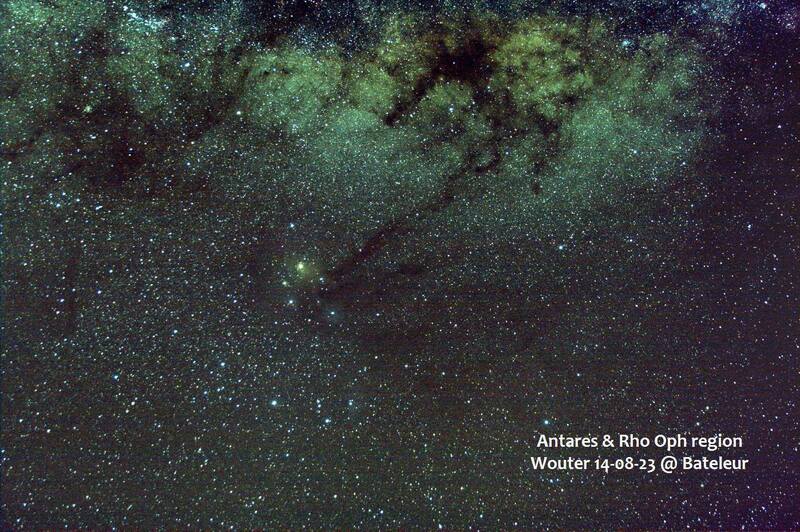 Example of astrophoto by FASTRON-5s. 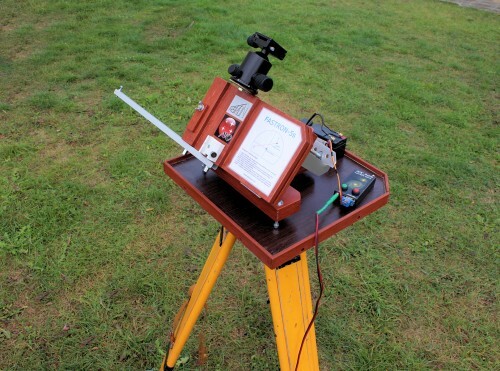 FASTRON-5s was designed mainly for use by photographers located on the northern hemisphere, however its conversion into photography below the equator is quite simple, which can be seen in the pictures below. Michał Klimaszewski, while being in RSA in August 2014 donated one FASTRON (constructed partly from local materials) to Bateleur Nature Reserve, where Wouter Schreuders works. 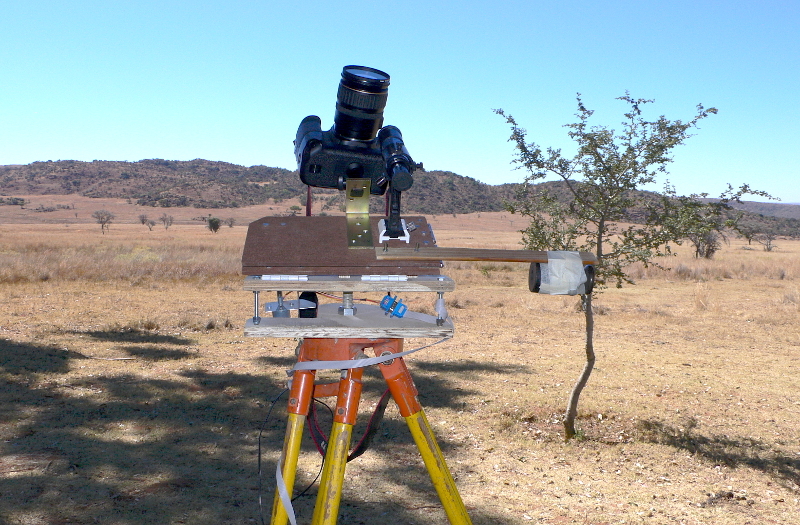 Below I present the Afrikaans-FASTRON picture, as this particular model was named this way, along with the first photograph of the southern sky taken with this device. Congratulations.